Minimalist puzzle games can be tricky. Since the emphasis is on gameplay than the visuals, the concept needs to hook you right in, otherwise it won’t work. 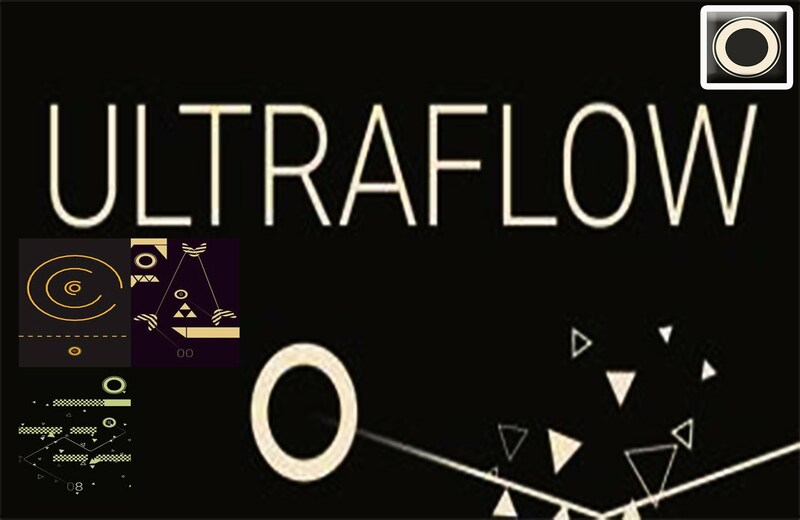 Ultraflow from Thibaud Troalen is one game that delivers. Easy to understand and get into, Ultraflow also has a compelling gameplay. The objective is simple: put the ball in the goal. Use your finger to swipe in the direction you want the ball to go to. Swipe the screen and this physics based puzzler will take of the movement. You can attempt as many times as you like without being penalized. It’s easy in the beginning, but the levels get more intricate. The obstacles start to move to move, navigating becomes more complex, and some sections cause you to lose speed. There are also areas where the ball gets pulled in or pushed out. There’s a bit of luck involved in succeeding, but mostly it comes down to strategizing. In the early stages of Ultraflow, you can just throw the ball and there’s a good chance it reaches the goal. Later on the speed which the ball moves becomes a factor. This is especially true in the areas where the ball slows down. In some cases you’ll want to slow the ball down. Ultraflow has simple graphics, and that helps because you can focus on the gameplay. There are no ads or in app purchases either. If you like minimalist puzzles, this is your game.